Item # 312458 Stash Points: 5,995 (?) This is the number of points you get in The Zumiez Stash for purchasing this item. Stash points are redeemable for exclusive rewards only available to Zumiez Stash members. To redeem your points check out the rewards catalog on thestash.zumiez.com. 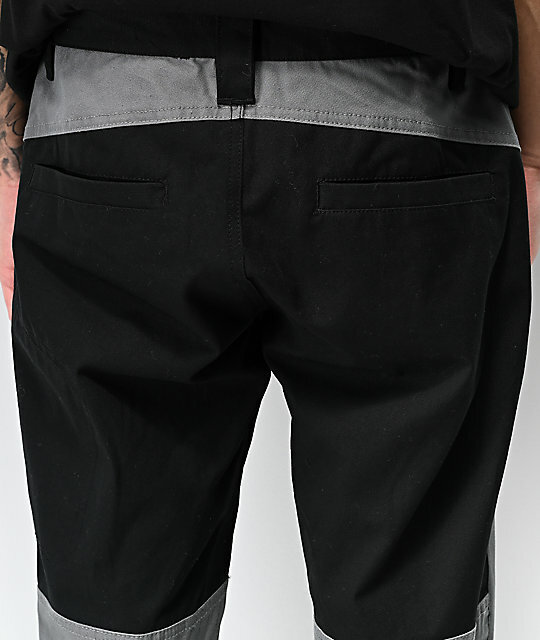 Shake up your pant rotation with a pair of Ninth Hall Gasline Moto Black Cargo Pants. 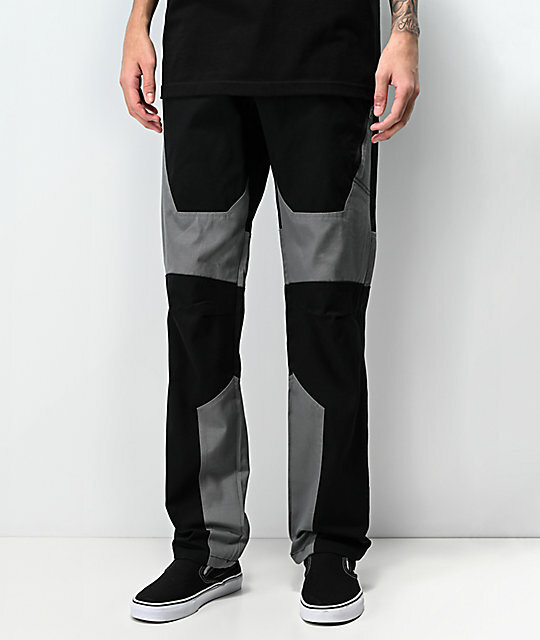 This fresh style features a mostly black construction highlighted by colorblock patches in grey at the knees, waistline and calves for textured appearance and subtle color variation. Two front hand pockets are accompanied by two rear seat pockets and one left thigh pocket that includes a zip closure for all-kinds of storage space. 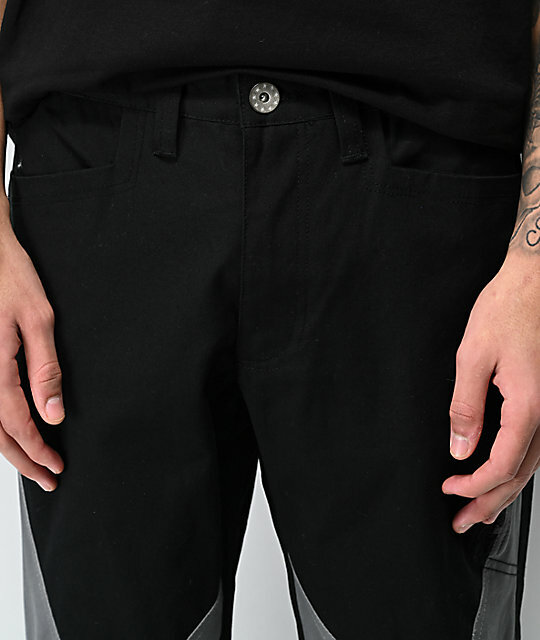 Finished with a slightly tapered, fashion-forward silhouette, these pants are a necessity. 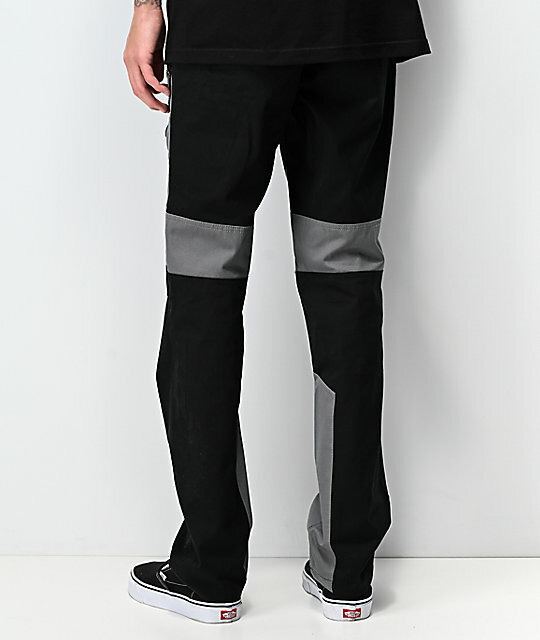 Gasline Moto Black Cargo Pants from Ninth Hall. Zip and button fly closure. Two front hand pockets, two rear pockets, and one left thigh pocket with zip closure. 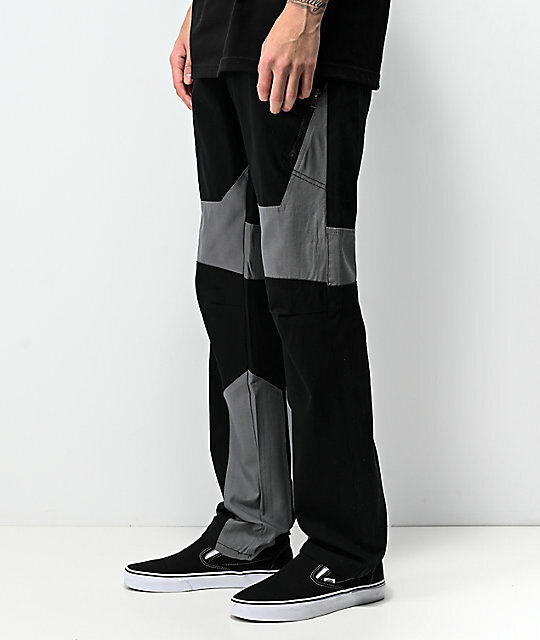 Grey colorblock detailing at the knees, calves and waistline.